I have taken yet another break from my New Year’s resolution to create the Great Spring Craft Quest. This time the break is for another REALLY GOOD REASON. Easter is coming soon and I have decided to make gifts for my niece & nephew. I remember playing house as a little girl and I always loved pretend food. I played grocery store with my own son a lot when he was about 5 years old too. I thought amigurumi food would be a big hit with my brother’s little ones. So, I started with breakfast. 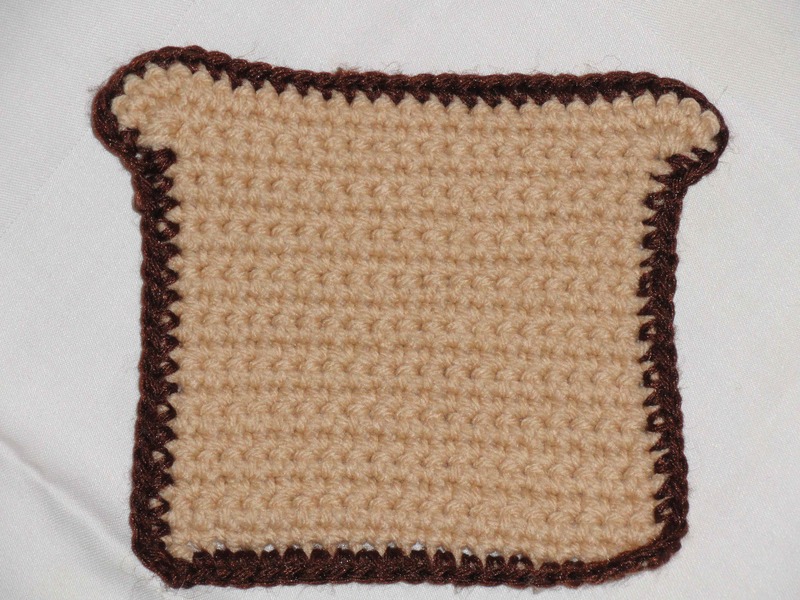 I googled “amigurumi food” and found hundreds of free patterns. 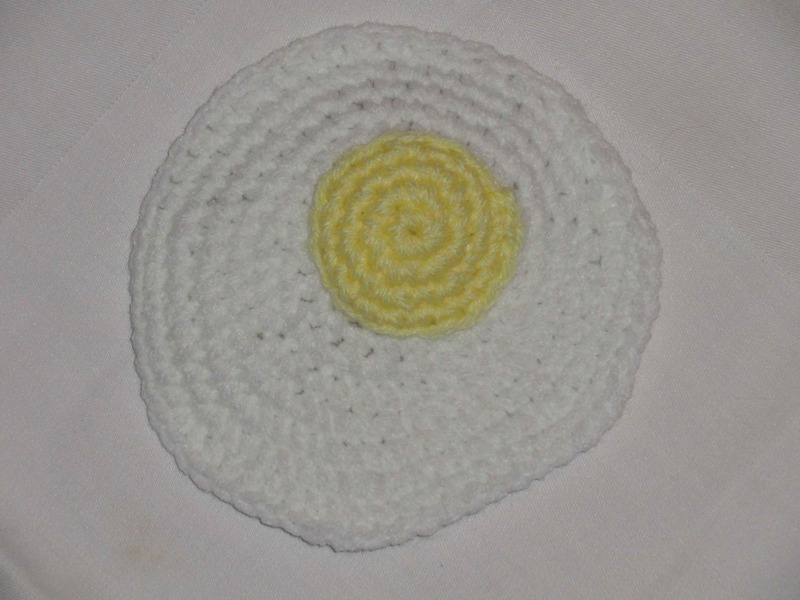 I love the generosity of crochet artists in Blogland! This is becoming an obsession!!! I have downloaded so many fun food patterns! Ha ha this is so brilliant – I remember having plastic eggs and toast when I was little but crocheted ones are much cooler! if you made little coins then they could pretend to have a fruit and veg stall, or a cafe. oh I wish I was five again now!